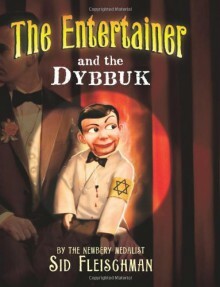 One night The Great Freddie, a young ventriloquist, is possessed by a dybbuk. A what? A Jewish spirit. A scrappy demon who glows as if spray-painted by moonlight. The dybbuk is revealed to be the ghost of a twelve-year-old boy named Avrom Amos, a victim of the Nazis during World War II. In a plucky scheme to seek revenge, he commandeers The Great Freddie's stage act and entraps the entertainer in the postwar ashes of Germany. Behind the footlights, the dybbuk lights up the terrible fate of a million and a half Jewish children, including Avrom himself. What tricks does the dybbuk have up his ghostly sleeve? Prepare to be astonished. . . .